The Orchid Society of Minnesota and the Marjorie McNeely Conservatory work together to exhibit the largest display of privately owned orchids in the region. The Winter Carnival Orchid Show is an American Orchid Society (AOS) judged event. Orchid judges from throughout the Midwest travel to Saint Paul to bestow awards and points. 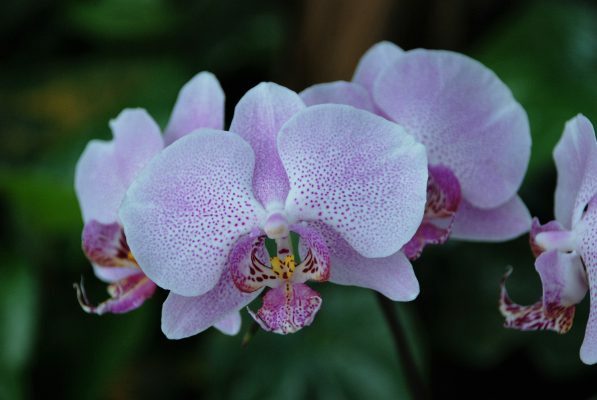 The Winter Carnival Orchid Show will be held on January 26 and 27 at the Marjorie McNeely Conservatory at Como Park Zoo and Conservatory in Saint Paul from 10 AM to 4 PM. Admission is $5 for adults and $3 for children ages 3-12 ($1 off admission for Como Friends Members or for visitors with Winter Carnival button).